This compact, powerful electric powered blaster suits light commercial/ domestic duties. 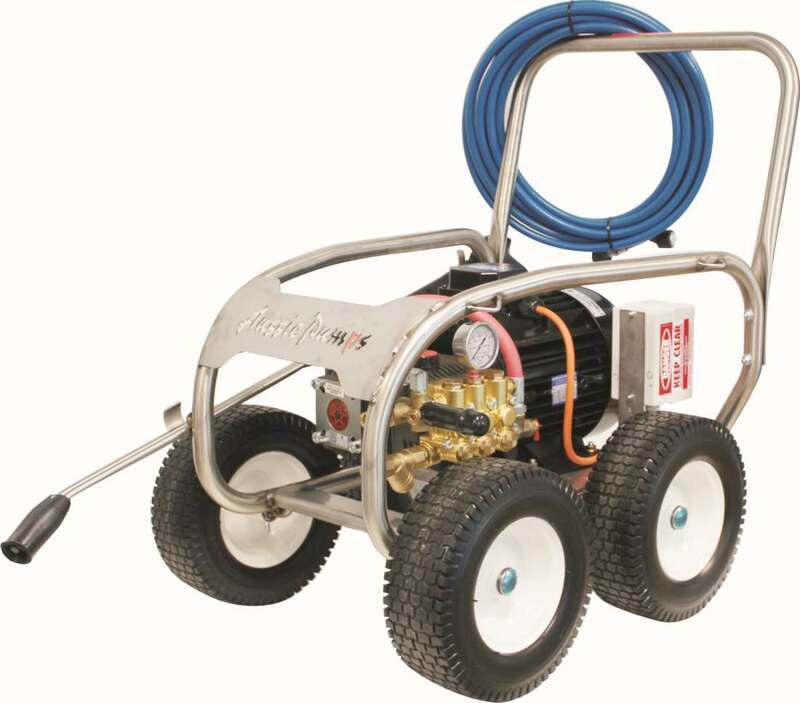 With an effective working pressure of 3,000 psi when used with the turbo lance, this high pressure cleaner sets a new standard for domestic style blasters in terms of performance and longevity. 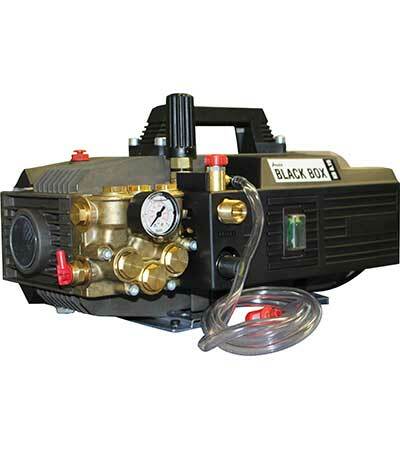 The Aussie Black Box can be trolley mounted for extra convenience and is available with an optional 15m hose reel kit. 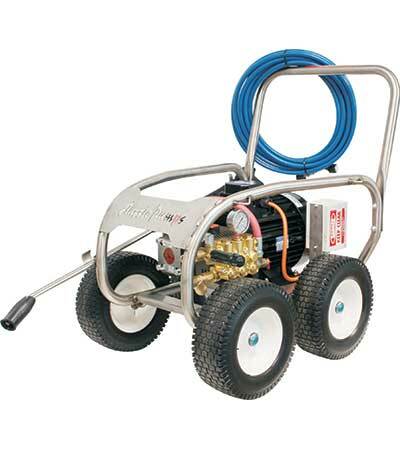 Professional 240 volt, 4 pole, 1450 rpm slow speed, cold water high pressure cleaning machines. Rugged high pressure water cleaners made for tough Australian cleaning applications with the ease of standard 240 volt supply. Pressures to 2,000 psi (EWP 3,400 psi with turbo) and flows to 11 litres per minute. 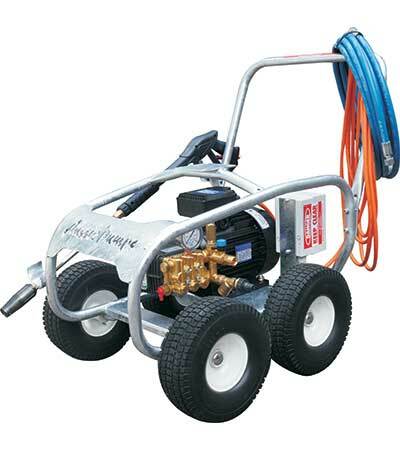 Professional 415 volt cold water high pressure machines made for tough Australian cleaning applications. 1450 rpm slow speed Bertolini pumps & 4 pole IP56 electric motors. These high pressure water cleaners are designed for long continuous operation. Pressures to 5,000 psi (EWP 6,785 psi with turbo) and flows to 20 litres per minute. 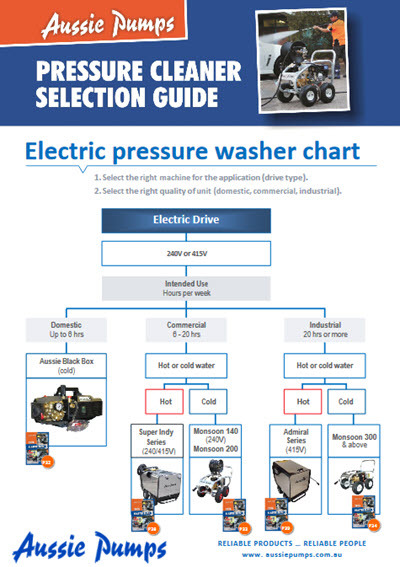 Under AS/NZS 4233.01 (Safety Standards for operators of High Pressure Water Jetters) this range is classified as Class A … no operator certification by an RTO required. For more details on the standard …. click here. 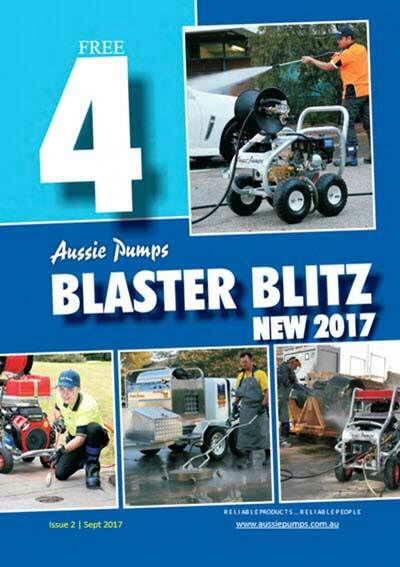 Industrial 415 volt cold water hydro-blasters made for the toughest Australian cleaning applications including paint stripping, rust removal and even hydro demolition. 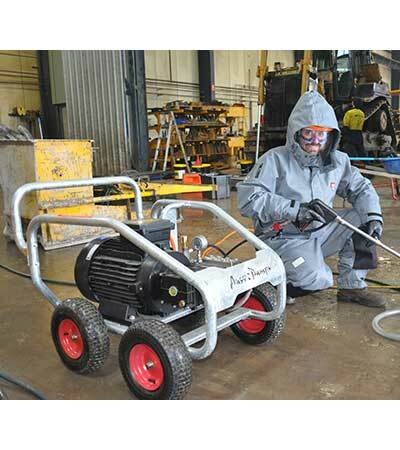 Up to 7,300 psi means these units are designed for specialist high pressure contractors. 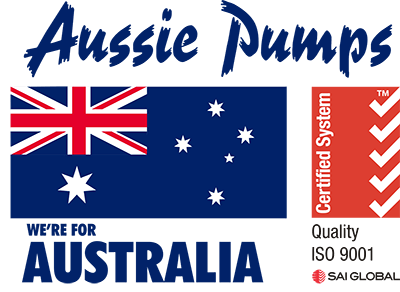 Under AS/NZS 4233.01 (Safety Standards for operators of High Pressure Water Jetters) this range is classified as Class B … operator certification by an RTO is required. For more details on the standard Click here.